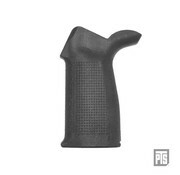 PTS Enhanced Polymer Grip AEG (EPG) (Black). The PTS Enhanced Polymer Grip (EPG) is asimple yet highly functional polymer pistol grip for the M4/M16 platform. 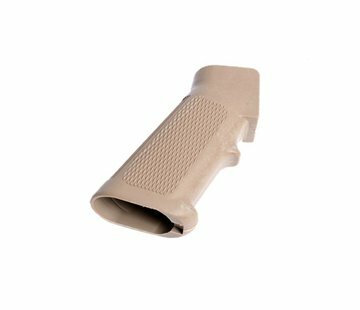 It features an ergonomicallydesigned shape and is a fully ambidextrous design at a conventional gripangle. The beavertail extension naturally encourages a high hand holdunder the receiver for maximum recoil control while maintaining comfort. 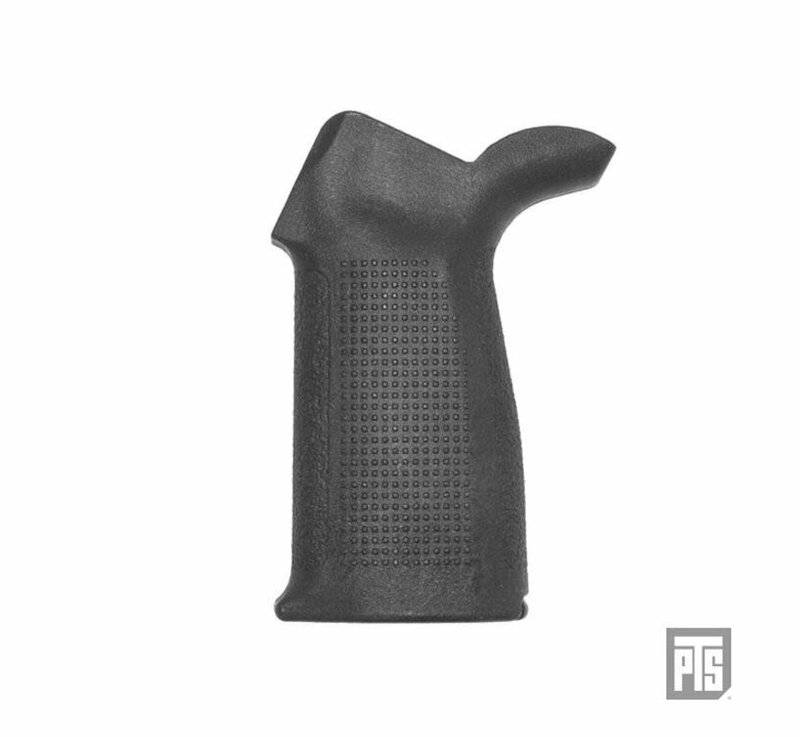 The EPG's distinctive texturing is optimized for strong and suitable grip undereven adverse conditions. Conventional M4 grip angle but with improved ergonomics. Aggressive 360° texturing to increase surface traction but strategically panelled with comfort in mind. Compartment will accept CR123 batteries, tools, spare parts etc. Available for both AEGs as well as Airsoft Gas Blowback Rifles.